Finally, what Matt Cutts announced on his personal blog in January 2014 has now become a shocking reality with a guest blogging network been penalized recently by Google. The distinguished Engineer Matt Cutts had already advised the Webmasters to stop guest blogging as a link building strategy for gaining juice. Similarly, great emphasis was laid on accepting a blog post that is written by someone you can assure in terms of credibility and quality, which is also applicable to a site on which you submit the post. The announcement had already alerted the SEO community but the practical trailer has actually proven the power of the decision taken. After taking a look at this penalization, I guess most ( paid ) guest blog authors as well as webmasters accepting such posts will stop with their work. After all, nobody wishes that their sites get penalized, particularly after passing through the havoc of the former updates of Panda and Penguin. So, does this mean that Google will no longer consider guest posts? Well, this is not going to happen so soon. So, heaving a sigh of relief, let us find out why! Fall in Quality and Rise in Spam: Motivation to Take Such a Decision! Well, the only reason here is spamming happening through guest blogging. This clearly conveys that the admired Engineer has no problem with guest blogging but with the way in which it is done. Cutts has already pointed that guest blogging has become a more spam SEO tactic over time. 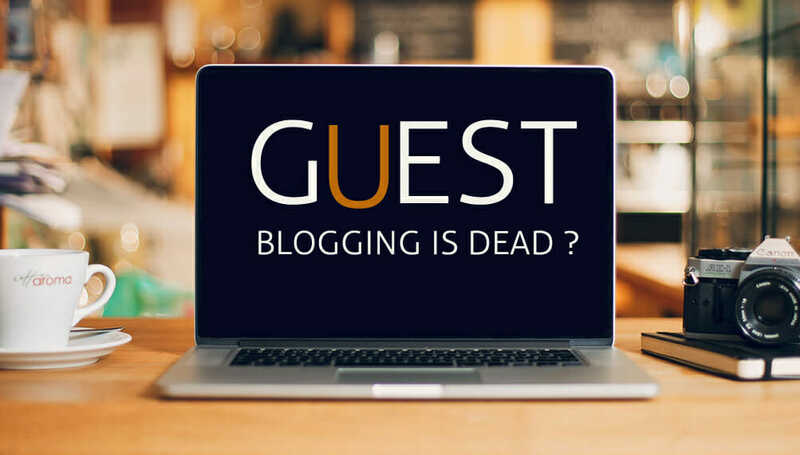 In his personal blog on ‘The decay and fall of guest blogging for SEO’, he also revealed about an email received wherein the unknown sender offered money for publishing a guest blog post with one or two ‘dofollow’ links in the body. Concisely, the sender intended to purchase links from Cutts, which is a lucid violation of quality guidelines of Google. The ‘follow’ or ‘dofollow’ link is enviable, as it can pass some authority and PageRank to the destined site to which that anchor tag points. Instead of using in the right sense, a few guest bloggers have misused this benefit of getting the PageRank. They have caused an excessive influx of low quality content masked as a guest blog. Not only does this betray the readers but also puts the online credibility of the site owner at risk, who accepts such posts. This is perhaps because a majority of readers expects from the site owner to guarantee the quality of its content. In addition, it has become a much more widespread tactic for the authors to offer money for publishing their blog post on what they observe as high quality sites. This allures many owners as an easy way to make money but the reality is that the authors are simply masking paid links in the realm of a guest post whose content is usually of low quality, just stolen, or is least relevant for that site on which it is published. Alternate Option for SEO ? Will it Really Work? It seems that Google have removed ( paid or sponsored ) guest blogging going out of SEO world for saving the naive webmasters who are unaware of the spammers’ selfish motives. While this is on the positive side, many may also look upon it as Google’s tactic to move people to its PPC plan that was not used by many because of guest blogging. So now, if we assume that paid guest blogging has gone, then the only option for the webmasters will be to use PPC (Pay per Click) through adwords. However, the biggest limitation of this tactic is that the search results for a specific searched keyword will show the Google ad-based sites in the initial pages but there will be still no guarantee whether those sites will have quality and relevant content for the readers. High Quality Guest Blogging: Still Encouraged? A webmaster should accept a guest blog post only if he knows the author well. He also affirmed that there are yet many good reasons to choose guest blogging, which include branding, exposure, and increased reach. Nobody can deny these reasons, as they were present before Google and that they will continue even in the future. Cutts also accepted that there are truly some incredible, high-quality guest bloggers and that ‘multi-author blogs’ were not under the Google’s sharp monitoring eyes. In short, Google does not like guest blogging for the goal of SEO. In short, guest blogging is still viable for the reasons that Cutts specified, provided it offers high quality, relevant content with ‘nofollow’ or social media page links. The only difference will be that one will now think of such posting as readers, not as a link-building source. I am thinking its already very late for Google to frown on guest blogging. Most SEO masters would just post comments which are not even related to the link. My blogs were filled with those comments and had to monitor them. At the same time good quality comments should be welcomed. a blind eye can be turned those comments even if they have Links. Isn’t that ryt? Think it’s best to frown upon the guest comments. I absolutely don’t like it. Anonymity is lost. We cannot comment without being scrutinized. Also lets not forget the fact most of the guest blog comments are nowadays are very engaging and with quality. Who does spam comments nowadays.Everyone knows the moderator will delete spam comments. Just read the article. Thanks for the useful info. I had been so far using short links with generic comments in my niche for seo purposes. I mainly used footprints to stay below the radar, but recently say that my usual blogs were getting demoted consistently.Thanks to this article I now know why. I’m going to change my modus operandi. Still although it’s good for the blog owners that real constructive quality comments are coming, its a bummer for guys like me who mainly base on quantity rather than quality. Still for my own personal blog I would welcome the change and would demand good comments. The move of Google made it easier. Though I’m on the opposite side, rules like these can bring about revolutions in the ‘scrape comment’ business. I’m not much of an expert in internet marketing, but I sure know that this a very good move. I have a small fashion biz blog which I have been maintaining religiously. So my blog has a good ranking. It in turn churns up lot of comments. Some people just for posting a link don’t even have the decency to post a simple word other than their link. I had to close my comment section, too hard to monitor with hundreds of spammy comments. My opinion is that it’s very good, when google turns on the blogs the so called Seo experts will get the point and leave us alone or better read the blog posts for a change and comment something useful. I would welcome such comments whole heartedly. This is my own personal opinion and nothing more and is anyone doesn’t like what I’m writing they better take it up with Google. In the past me and my pals used to just post comments and others just like a discussion in our local blogs. Now they are just all spammed to death, We can’t even view our good old comments. So I say its’ a great move by Google for cleaning up the internet even if it’s by just a bit. I welcome it with stretched hands and open minds. Guest blogging should be banned!! Actually I have been hearing about this for a while. Google is in the first stage where it discourages people before taking a major step by making a rule that spammy comment fill blogs will lose rankings. I think in the end quality is everything and Google’s move just proves that.